The Museums of the Arroyo welcomes support from businesses, organizations and individuals. 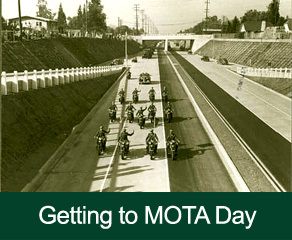 We are now accepting sponsors to help underwrite the costs of shuttle service on MOTA Day. To discover the benefits of this unique and very limited sponsorship, and to reach the thousands of Angelenos who visit our museums on MOTA Day, please contact the MOTA museums directly.